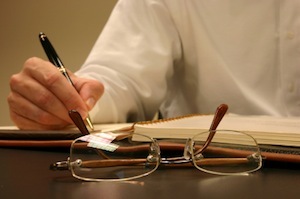 Anatomy of a Lawsuit | Nashville Injury Lawyers The Law Offices of John Day, P.C. Because we are lawyers, we must of course start with a disclaimer. Every case is different and may progress differently. But, most of our clients are anxious to know what to expect in the litigation process, so we offer the below information to give you a general overview of the average case. A lot of work goes into your case before the lawsuit is even filed. We conduct an appropriate investigation in every one of our cases. This may include a visit or multiple visits to the scene of the accident to take photographs and look for physical evidence, interviewing witnesses, gathering your medical records and bills, obtaining wage loss information, hiring experts, inspecting any product involved in the accident, researching the defendant (the person or company that may be sued) for prior claims, asset information, etc. The exact nature of our investigation depends upon the type of case, the facts of your individual incident and the deadline for filing suit. But, we believe a good pre-suit investigation and work-up will help us resolve your case quicker and maximize your recovery. Prior to filing suit, we will evaluate your case to determine if settlement is possible. Sometimes, it simply is not. For instance, if you still need to undergo surgery for an injury you sustained in the accident, it would be unwise to settle your case until the surgery has been completed and an assessment can be made about how well the surgery improved your condition. In other situations, settlement is not possible because there are too many unknowns. For example, if you hire us one month before the statute of limitations runs (the deadline to file your case), then settlement before filing suit will be unlikely. There simply will not be enough time for us to conduct a thorough investigation, gather your medical records and engage in meaningful settlement negotiations before we must file suit. With all that said, rest assured, we routinely review your case to determine whether it is in the right posture to begin settlement negotiations and we will certainly do so before filing suit if you come to us early enough after your incident so that the necessary information can be gathered to know the value of your case. Once we have finished our pre-suit investigation and evaluated your case for settlement, we will prepare a complaint to file with the appropriate court. A complaint generally does four things: (1) identifies the defendant; (2) sets out the facts of the accident; (3) states the theory of recovery (medical malpractice, liquor liability, etc.) and (4) makes a demand for compensation. The complaint must be timely filed and well-drafted or it could be dismissed. Once the complaint is prepared, it must be filed with the appropriate court and a filing fee (about $300.00) must be paid. We advance the filing fee on your behalf. After the complaint is filed, the defendant(s) must be served with a copy of it and a summons by a process server. (A summons is a legal document issued by the clerk of court that formally notifies the person or the company sued of the case.) The summons and complaint can be served by the county sheriff's department or by a private process server. After the defendant is served with the complaint and summons, the defendant generally has a set time-frame to file an answer to the complaint. In state court, the deadline is typically 30 days. In federal court, the defendant must answer within 20 days. However, the deadlines can be altered by certain facts and rules. An answer is a written response to the complaint in which the defendant must admit, deny or deny for lack of knowledge each allegation in the complaint. The defendant must also assert any affirmative defenses in its answer. Affirmative defenses are wide-ranging. Some typical affirmative defenses are: statutes of limitations, statutes of repose, fault of a non-party, release or waiver, the comparative fault of the plaintiff (the injury victim or the representative of the injury victim). If the defendant asserts the fault of a person or company that has not been sued in the case (a "non-party"), a strategic decision must be made about whether to add that non-party as a defendant in the case. If the non-party is added to the case, then service of process must be made on the non-party and then they are permitted time to answer the complaint. Additional steps that might occur during the complaint and answer stage are motions to dismiss, motions to strike, motions for a more definite statement, etc. Once all of the defendants have answered the complaint, discovery begins. In a nutshell, discovery is the part of the case in which each party is allowed to try and find information that will help them understand the strengths and weaknesses of their case. Discovery can take many forms: written discovery, depositions, medical examinations, expert discovery, etc. As a general rule, we prefer to move the court for a scheduling order which is really just a written schedule for how the case will progress with deadlines by which certain tasks must be completed. Once a scheduling order is entered by the court, the rules provide it can only be changed for good cause. A scheduling order helps us ensure your case moves through the litigation process as quickly as possible and prevents stalling tactics often used by defendants. Now, let's talk a little bit about each type of discovery. Interrogatories -- These are written questions, and the other side must provide written answers within 30 days (unless an extension is granted) The answers must be verified, which essentially means they are given under oath. Interrogatories are typically used to obtain more routine information such as the identity of known witnesses, employment history, education, claims history, etc. Many local rules of court limit the number of interrogatories you can serve on a party, but in complex cases the number can be increased by the court by filing a motion or as part of a scheduling order. Our team of lawyers, paralegals and on-staff nurse help our clients answer interrogatories. Request for Production of Documents -- This is exactly what it sounds like -- each party requests certain documents from the other. For instance, the defendant might request from the injured party copies of their tax returns to verify the accuracy of any lost wage information. Conversely, the injured party can request documents from the defendant. For example, in a tractor-trailer accident, the injured party would want to see log books, trip tickets, fuel receipts, bills of lading, the driver's DOT physical information, etc. Request for Admissions -- Again, this one is as the name implies -- either party can request the other side to admit certain factual statements. Request for Admissions are typically used to narrow the issues that need to be addressed during discovery or proven at trial. For instance, in a drowning accident case, the injured party might send request for admissions to the defendant to establish the number of lifeguards on duty, or that the pool gate was broken, or that the drain was not compliant with the Virginia Graeme-Baker Act, etc. Once a party makes an admission pursuant to a request for admission, that issue is definitively established and no further proof is needed. Depositions -- Depositions are just question and answer sessions while the witness is under oath. Typically, the deposition takes place in an attorney's conference room with lawyers for both side present, the witness and a court reporter. Parties to the lawsuit may also attend depositions but other people may not. This rule is intended to prevent collusion in testimony. At the beginning of the deposition, the court reporter will place the witness under oath and then the attorney who requested or noticed the deposition will question the witness. Once that attorney is finished, attorneys for other parties may question the witness. The witness may or may not be represented by counsel. During the deposition, the attorneys are allowed to make certain, limited objections to the proceedings. The court reporter will record verbatim every word said during the deposition. In addition, some depositions may be video-taped so that the witness' appearance, expressions and mannerisms can be recorded. For instance, by simply reading the transcript, it would not be possible to tell that the witness rolled her eyes or had a mean tone to her voice. But, these nuances are visible in a videotaped deposition. Videotaping depositions adds expense to the case, and we will make the decision whether the additional expense makes economic sense in your case. Under certain circumstances, the deposition transcript may be read or the video played at trial so that the judge and jury can have the testimony as part of their consideration of the case. So who can be deposed? The answer is really almost anyone as long as they are mentally competent. The parties can be deposed as can witnesses and experts who have been hired to assist in the case. While the party may have to submit to a deposition, it does not mean everything is open for questioning. For example, a lawyer who is called for deposition may give certain testimony but can not be compelled to divulge attorney-client privileged communications. Depending upon the facts of the case, it may be necessary to apply to the court for a protective order to ensure certain rights are adequately protected. As the person who is bringing the lawsuit, you will almost certainly have your deposition taken. We will help prepare you for that process and we will be there with you when your deposition occurs. Request for Inspection -- Oftentimes, an accident occurs on the defendant's private property. And to be able to inspect the scene of the accident, you need the permission of the defendant. Usually, this can be accomplished by agreement of the parties. But if it can not, the injured party can serve a request for inspection. Or, in a product liability case, the injured party may not own the product. For instance in a boating case, the marina may own the product. To ensure you have access to it, a request for inspection can be used. Request for Medical Examination -- These are commonly referred to by defense counsel as "independent medical examinations" or "IMEs", but since there is nothing independent about them we prefer to delete the reference to independent. In a personal injury action, the injured party's medical condition is at issue in the case. Sometimes, the defense would prefer for the injured party to be examined by a doctor of their choosing rather than the injured party's treating physician. As you can see, if the defendant gets to choose and pay for the doctor's evaluation, independence is lacking. But, if you are ordered to undergo such an examination, we will help you prepare for it. Depending upon the type of case you have, expert witnesses may need to be hired to prove your case. Experts can be hired on all kinds of issues. In a car accident case, we may need to hire an accident deconstructionist to help determine the speed of the other driver. In a product liability case, we may need an engineer to opine on the defect in the product. In a liquor liability case, we may need a toxicologist to opine on the effect of a certain number of drinks consumed by the drunk driver. Because most are professionals, expert witnesses can be expensive. Unlike some lawyers, at The Law Offices of John Day, P.C. we advance the costs associated with expert witnesses and do not charge interest or otherwise mark-up the costs of hiring these experts. The scheduling order entered by the court will set a deadline by which all discovery must be completed. After that date, a party can not propound written discovery, notice a deposition, disclose additional experts or identify new witnesses without permission of the court. The reason for this is so the universe of information can be defined and the parties can begin to prepare their trial strategy without fear that new information may be uncovered which could alter a theory or otherwise damage the case. Subpoenaing Witnesses -- Many Tennessee counties have very specific rules about when subpoenas for witnesses must be issued. In addition to subpoenaing the witness, the appropriate mileage and witness reimbursement fees must be calculated. But most importantly, a decision must be made as to when the witness should testify for the best presentation in your case. For instance, if the witness is a strong and compelling, we will probably want to lead or close our proof with that witness. Conversely, if the witness is a little weak or the testimony is boring, albeit necessary, then we will want to try and schedule the witness for the end of the day or sandwiched between two strong witnesses. Motions in Limine -- A motion in limine is used to get an advance ruling from the judge on a certain piece of evidence. The motion can be offensive or defensive i.e., you can seek an advance ruling that a certain piece of evidence is admissible or inadmissible. The beauty of a motion in limine is you can better prepare your proof and arguments if you know a certain piece of evidence will not be admitted. For instance, let's assume the injured party had a simple possession charge for marijuana when he was in college ten years before the accident. By filing a motion in limine, we can know in advance if that is an issue we need to confront head-on during jury selection and in opening argument or if we can simply ignore it because the judge has ruled it is irrelevant to the accident and therefore inadmissible. Jury Instructions -- In most cases, the judge will instruct the jury on the law both before and after the presentation of the parties' proof. While the basic law is covered in the Tennessee Pattern Jury Instructions, the parties are permitted to submit the jury instructions they believe are applicable to the case with any necessary tweaks. In some cases, the issues are unique and novel and the parties must submit non-pattern jury instructions based on relevant case law from Tennessee courts or courts of other states. Exhibits -- Prior to trial, a decision must be made about which exhibits will be used at trial. Most scheduling orders and/or the local rules of the court provide a deadline by which exhibits must be exchanged between the parties. If an exhibit has not been provided to the other side before trial, the likelihood that it can be used at trial is very slim. Verdict Forms and Jury Interrogatories -- The verdict form and jury interrogatories are completed by the jury as part of their deliberations and is a critical part of trial preparation. At its most basic, the jury interrogatories help the jury make a decision in the case by asking multiple questions about points of law and facts. For instance, in a product liability case, the verdict form might begin by asking if the jury finds the particular product was defective or unreasonably dangerous. At the end of the question, the verdict form will tell the jury if they do not believe the product is dangerous or defective to sign the general verdict form for the defendant and to alert the court they have reached a verdict. However, if the jury does believe the product is defective or unreasonably dangerous, it will instruct the jury to proceed to the next interrogatory which will probably be something like: Do you believe the defective or unreasonably dangerous product was the cause of the plaintiff's injuries? If the jury answers yes, they will be instructed to move on to questions related to the amount of money the injured party is entitled to recover. The wording of the jury interrogatories and the verdict forms have to be carefully considered and there is often a great deal of argument between the parties on the language to be used. Voir Dire -- This is the jury selection process. On the day of trial, the court will have called a large number of prospective jurors to be interviewed by the court and the parties about their suitability to sit on the jury. Prior to trial, a good deal of time is devoted to outlining issues to address with the jury during void dire. A very basic example from a medical malpractice case would be to ask the jurors if they have any medical training, education or experience or if they have any family members or close friends who are doctors or work at a particular hospital. Depending upon their answers to these types of questions, they may or may not be suitable for a particular case. Voir dire is designed to reveal any biases or prejudices which make a particular prospective juror unfit for a case. In jurisdictions which provide it, we will obtain the list of the prospective jury pool so we can begin researching it to determine the suitability of the prospective jurors for the case even before voir dire begins. Of course, as part of our trial preparation, we will also spend a tremendous amount of time developing a persuasive opening statement, clear and concise direct examinations of our witnesses and eviscerating cross-examinations of adverse witnesses and a compelling closing argument. This is the litigation process in a nutshell. As we said at the beginning, depending upon the facts of your particular case, it may have fewer or more moving parts. But either way, you can be confident we have the experience to help guide you through the process. If you would like to discuss a potential personal injury or wrongful death case with one of our award-winning attorneys, please call us anytime at 615-742-4880 or toll-free at 866.812.8787 or simply fill out this form to schedule an appointment. We handle all personal injury and wrongful death cases on a contingency basis so we only get paid if we win and the initial consultation is free and without obligation.